[PDF] Literary Studies and the Philosophy of Literature: New Interdisciplinary Directions | Free eBooks Download - EBOOKEE! Description: This book is about the interaction between literary studies and the philosophy of literature. 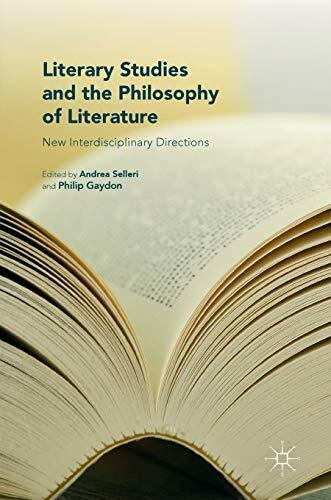 It features essays from internationally renowned and emerging philosophers and literary scholars, challenging readers to join them in taking seriously the notion of interdisciplinary study and forging forward in new and exciting directions of thought. It identifies that literary studies and the philosophy of literature address similar issues: What is literature? What is its value? Why do I care about characters? What is the role of the author in understanding a literary work? What is fiction as opposed to non-fiction? Yet, genuine, interdisciplinary interaction remains scarce. This collection seeks to overcome current obstacles and seek out new paths for exploration. No comments for "[PDF] Literary Studies and the Philosophy of Literature: New Interdisciplinary Directions".